139 p., 18,1 x 25,4 cm. The diary entries in volume 15, written between 1808 and 1810, contain the groundwork for the ›Beyträgen zu einer begründeteren Darstellung der Mathematik‹ (Contributions to a Better Grounded Presentation of Mathematics). 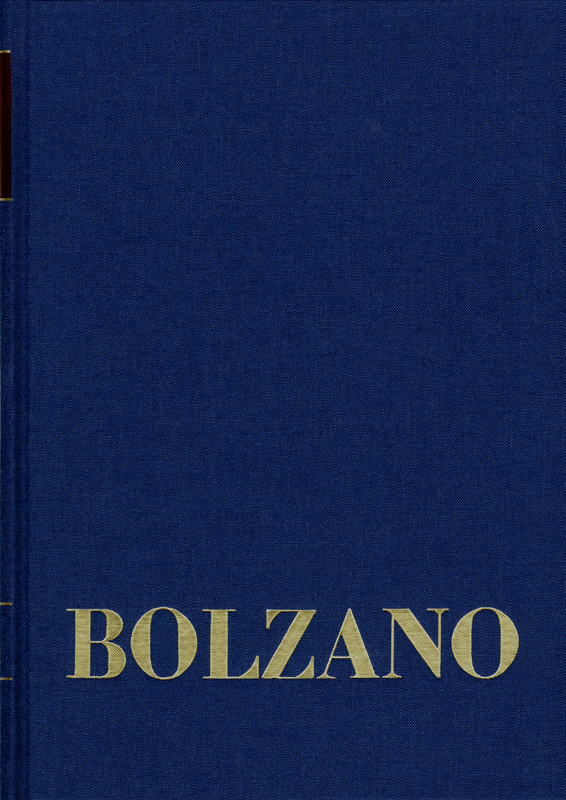 In it, Bolzano deals with issues pertaining to the theory of concepts and syllogistics as well as the distinction between a priori and a posteriori judgments and between cause and effect.